Okay. These were found along with the last batch but not dated. I am guessing that they are from '89 -'91. I know that they were all done before moving to Florida back in '92. First up is Captain Marvel. I had bought the old Republic Pictures movie serial and LOVED it! I then found out that the original artist (the late, great C.C. Beck) modeled the good captains face on Fred McMurry at first. For those of you who don't know, he played the dad on My Three Sons and was in the original Flubber movie. 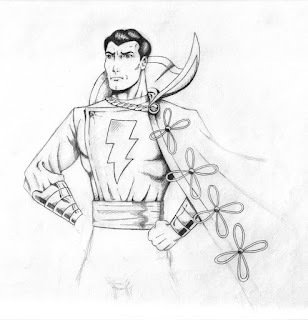 Anyway, here is my unfinished Captain Marvel (SHAZAM!). Next is when I first really became a fan of Kirby's Fourth World series. I think DC had reprinted them around the time and I fell in love. I still love these characters and recently re-read them. Maybe time for a new pic. Hmmmmm.... . But I digress. There is more of a 70's John Byrne influence on hand here mixed with the still present Perez look. Well, maybe not but I thought it looked it at the time! So I was cleaning my office at home and stumbled upon one of my earliest sketchbooks from the mid-80's. Before that I used a lined, 5-subject notebook! I still have that somewhere too. Anyway, I scanned a few "gems" from said sketchbook and decided it would be fun to share. Some of my old friends may even remember them as I was SO proud of each of these at one point. They are all of comic characters since that was still my goal at the time. Before I found out you had to draw EVERYTHING in the comic including garbage cans and lamp posts and such. 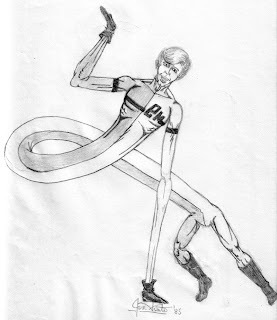 First up is the Elongated Man. You ever hear of him?? Anyway, they tried giving him a modern costume in the '80's but really, it was purple and white! I can still remember drawing this in my bed really late at night and then waking up early in the morning and finishing before anyone else woke up. Why would I remember that??? Just a quickie re-do, or more exactly, a re-tinkered piece. 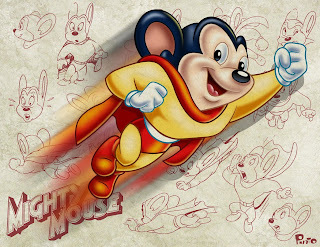 I reworked some of the color in my Mighty Mouse pic and touched up some minor points. I then found a couple of actual model sheets from way back when and spliced them together with a new texture. I think it looks so much better from when I originally posted this but that's just my humble opinion. 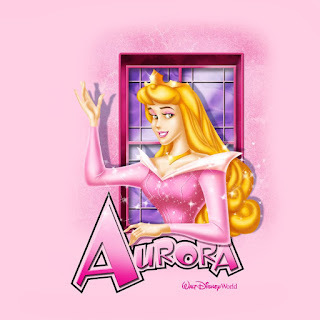 And it's my blog, so there! Makes a cool desktop too. 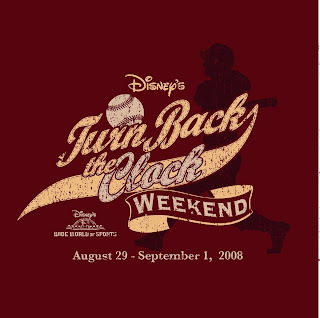 Some more t-shirts for ya! Well the new year came in without a hitch in the Pinto household. Christmas is coming down, the house and attic are getting purged and talks have begun about how to spend my precious little time off. I wish I had something new and exciting to show off here but I don't. Not that I have been idle, but my friend Tim Rogerson and I have been kicking an idea around for some time now and we have been doing doodles and such for it but we have not finalized a forum of how to show it yet. It might even get it's own blog where we trade off who posts to it. Maybe we will get others involved with it too. It's an idea that we are very excited about and believe it has potential!! 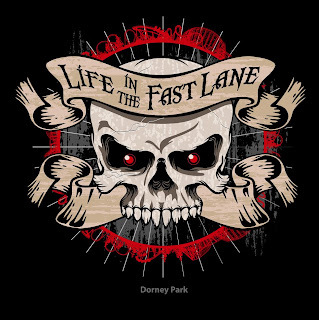 So for now, I have more t-shirt designs that I have done. Enjoy!